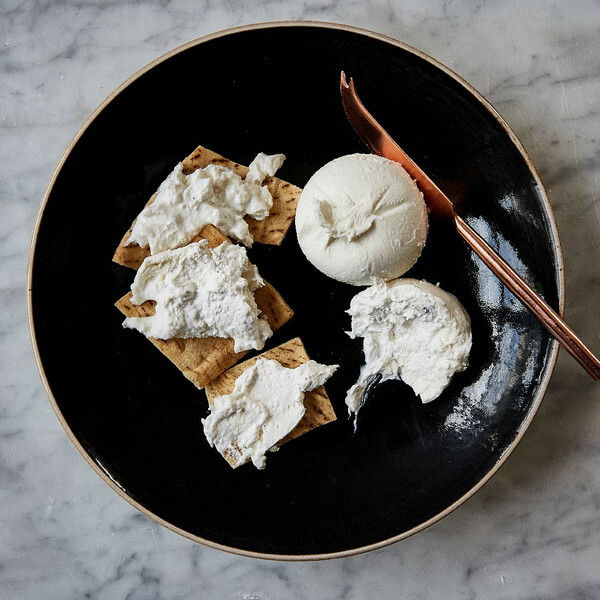 Editor’s Note: This post was guest-written by Chiara D’Amore-Klaiman, an American Cheese Society Certified Cheese Professional and member of our Wholesale team! 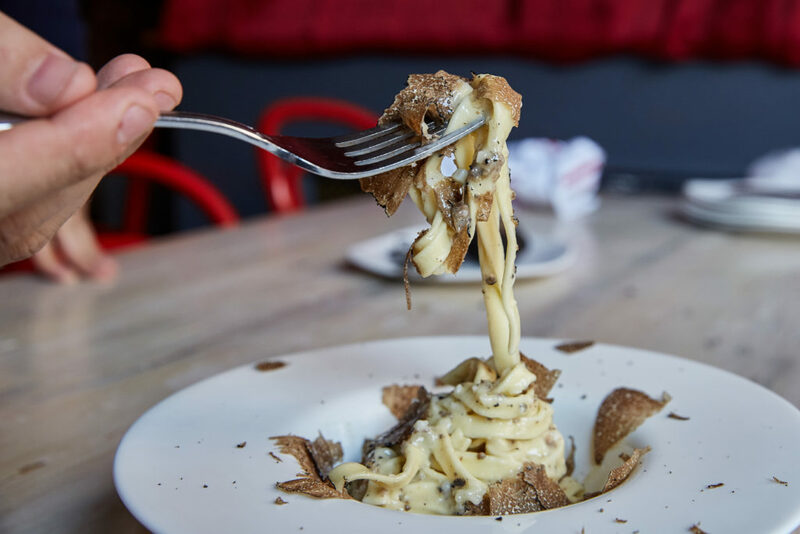 Truffles seem to be everywhere these days: on our french fries, in our mac and cheese, on our pizza, and topping our burgers. But more often than not, what you’re getting at your local gastro pub is truffle oil, made with a synthetic flavor compound, and not in fact made with any truffle. This is because real truffles are rare and incredibly time consuming to obtain (not to mention, expensive), but they are also undoubtedly delicious. Find everything you need to know about the prized delicacy, from definitions to recipe idea, below. Truffles come in two varieties, white truffles from in and around the town of Alba in Italy and black truffles, which can be found throughout Europe, but are mostly associated with the Burgundy region of France as well as parts of Italy. White truffles have a distinct, almost garlicky aroma with a subtle, fruity and musky flavor that’s best suited to being eaten raw or just warmed, thinly shaved over pasta, risotto, or carpaccio; they are also one of the most expensive foods on earth, commanding $6,000 to $10,000 per pound. But black truffles are often just a fraction of the price, and are in fact more versatile. 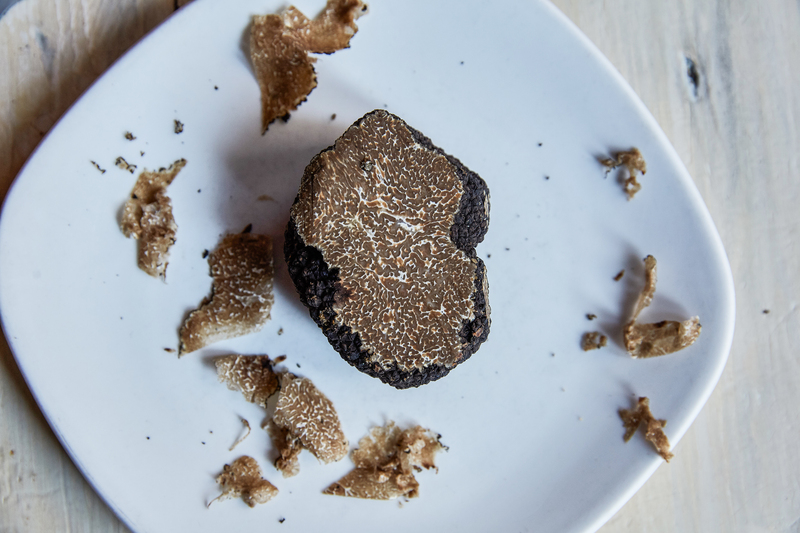 If you have yet to experience the real thing, black truffles are a great place to start. Like all truffles, black truffles or Tuber Uncinatum are the fruiting bodies of a fungus that grows on tree roots and forms a symbiotic relationship with them called a mycorrhizal network. 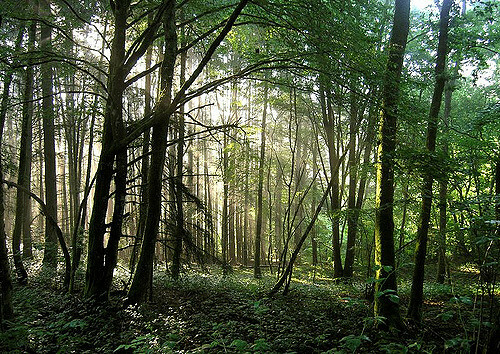 These networks of tree roots and fungus can take up to 10 years to develop, and require the proper soil conditions. Add to this the fact that truffles grow underground and can only be found with the aid of a pig or specifically trained dog, and it’s clear why truffles are so special. So, what is the best way to enjoy this highly prized fungus? And how can we get at every last bit of its flavor and aroma? 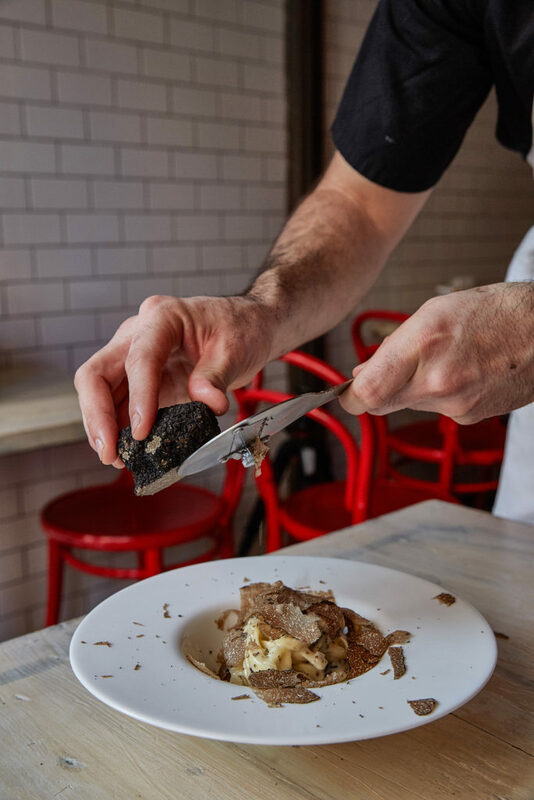 The classic way to enjoy truffles is to use a truffle mandolin to thinly shave them over a warm bowl of risotto or simple pasta tossed in some good butter and a little grated Parmigiano Reggiano like the Italians. Alternatively, you can do as the French do and grate truffles over a soft scrambled omelette or creamy mashed potatoes. The warmth of the food releases the earthy, hazelnut aroma and deep mushroom flavor of the truffle. Black truffles also do well when cooked, and inserting a few slices under the skin of a chicken before roasting it is another great way to enjoy them. Truffles have an intense perfume so thinly slicing them is key, plus a truffle mandolin can also be used for shaving chocolate to give your desserts a fancy garnish. Inevitably, you will wind up with the end piece of the truffle that is too small to shave. Do not worry! This little gem can be used to flavor all sorts of ingredients: drop it in a small amount of some good olive oil, like one of the bottles from our olive oil and vinegar gift set, and let it infuse for a couple of days, now you have your own real truffle oil. You could also do the same with vodka for a very special Bloody Mary. Another easy application? Chop the truffle ends up and mix them with some room temperature butter, then place the butter across a sheet of wax paper and roll into a log before chilling. 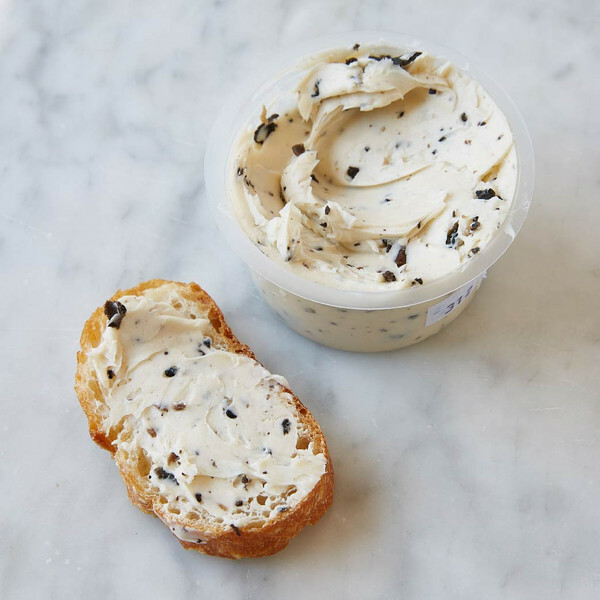 Now you can portion rounds of the perfect truffle butter to melt over steak or roasted veggies. But the best way to use your truffle ends is to put them in a jar of arborio rice and put the jar in the refrigerator for a couple of days. This is also the best way to store your truffles before using them. Since truffles lose moisture quickly, wrapping them in plastic wrap or foil can cause them to rot, but rice absorbs moisture so it’s perfect for storing truffles, plus you get some wonderfully flavored rice for that perfect truffle risotto. Other grains that work well are barley (think truffled mushroom barley soup) and quinoa. You can also feel free to chop up those truffle ends and add them to a soup or sauce. If you don’t quite feel ready to commit to a whole truffle, don’t worry! We’ve got you covered. 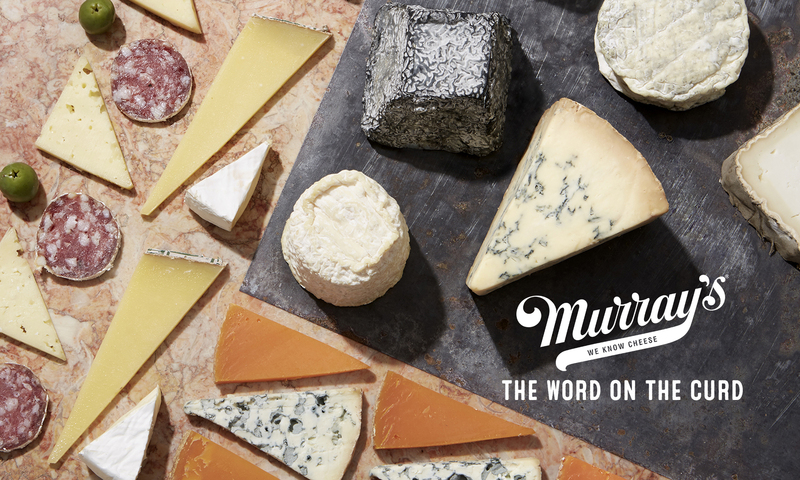 Murray’s Pecorino Tartufello is a great way to experience the magic of truffled cheese. This young sheep’s milk cheese is shot through with slices of black truffle that perfume the entire wheel. It’s pretty much ideal for elevating your grilled cheese game. Now is also the season for truffle burrata! Nestle a piece onto a bed of warm sauteed kale and mushrooms, finish with a touch of flakey sea salt and some good olive oil, then serve with some sliced baguette for a sophisticated shared appetizer, or if you’re like us, dinner for one.